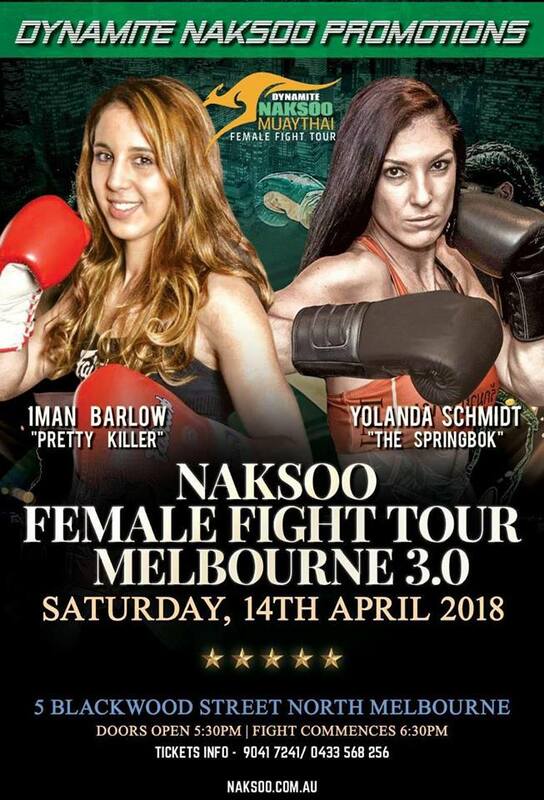 One of the most exciting fights the year has seen so far was recently announced which will see Yolanda Schmidt from Australia go head to head with Iman Barlow from the UK. All female fight series are growing in popularity in recent times with shows such as Thai fight now promoting female fights alongside all female line ups such as Muaythai Angels which is great news for the sport. Yolanda is an outstanding and well known IFMA athlete recently becoming champion of Muaythai Angels, a female 8 woman round robin tournament which ended in December rewarding her 1 million Baht and the Keys to a Toyota Pick up truck. Iman Barlow is considered by many to be the best pound for pound female athlete at 57kg, training under her dad Mark Barlow since she could walk. Iman has met success both domestically as UK’s number 1 and also globally. From all at the WMC we are very excited to see this fight and wish both of these amazing athletes the best of luck! This entry was posted on Monday, February 26th, 2018 at 2:58 PM	and is filed under News.